Any country with remarkable and diverse citizens should have an abundance of statues to commemorate the great achievements made by individuals throughout history. Scotland has given to the world more than most Nations of its size and always at the forefront of invention and social structuring. I would like to highlight some of the more glorious memorials to you, in the hope you one day visit these and learn the unique and intriguing stories of these great people. 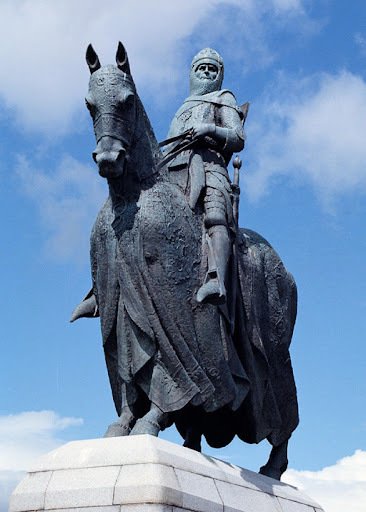 William Wallace is one of the most famous sons of Scotland who fought for the freedom of his Nation against the English. His battle victories and message of hope to the ordinary citizens of Scotland has been the subject of international interest. Fighting for a cause that is continued to this day, albeit less violently so, he will always be remembered as the epitomy of courage, bravery and hope. 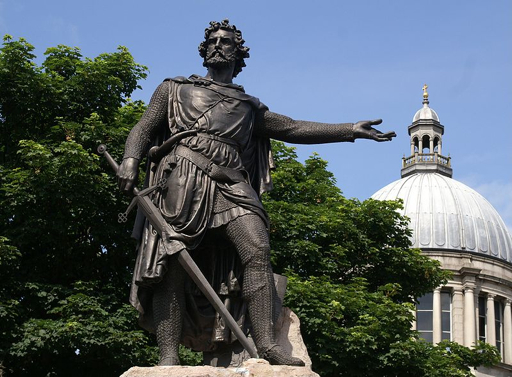 There are many statues of William Wallace around Scotland most famously in Stirling. King Robert was another who fought for the cause of Scottish Independence against corrupt and often merciless Rich elite. Robert was however a noble and claimed the throne of Scotland for himself in 1306. It is believed he then fled to Northern Ireland and Walter Scott later wrote the story about Robert the Bruce and the spider. The story told of him observing a spider building a web which was repeatedly broken but the spider tried and tried again until the web was complete, providing Bruce with the inspiration to continue his struggle. Meanwhile, back in Scotland, most of his supporters surrendered or were captured by Edward I who promptly had them all executed hoping to crush the independence cause altogether. He killed most of Bruce's friends and family but could not kill the cause. Donald Dewar was a politician who was instrumental in the creation of a devolved parliament for Scotland in the late 90’s. He is seen as the father of independence paving the way for Scottish Independence and realising a cause that had been struggled for throughout history in a peaceful and democratic way. 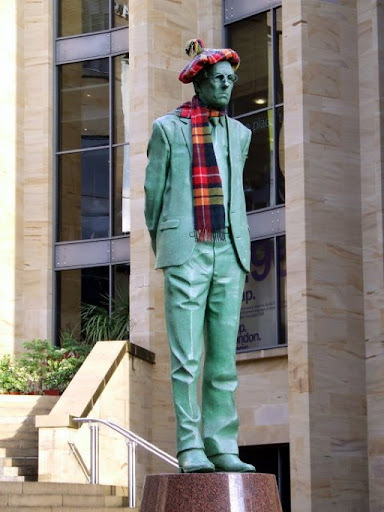 This statue can be found in Glasgow towering over the top of Buchanan Street. The story of the most faithful dog in the world was immortalised in a Disney movie, and love by thousands of pet owners across the world. The story was of a dog so lost without his owner who had passed that he took to sleeping on the grave of his owner every night until his own demise. 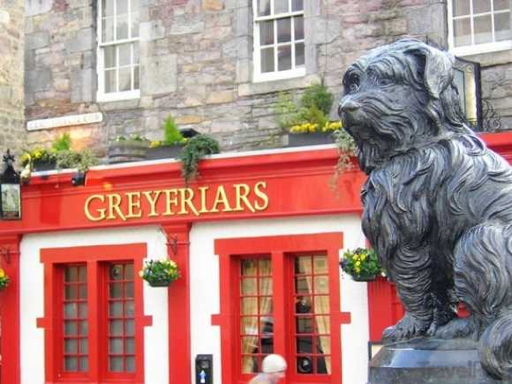 The story is a great advert for man’s best friend and this statue outside Greyfriars kirk in Edinburgh is said to be the most photographed statue in the whole of Scotland. A novelist and poet whose works include Ivanhoe and Rob Roy he was said to be the first novelist to receive international credit for his work during his lifetime. 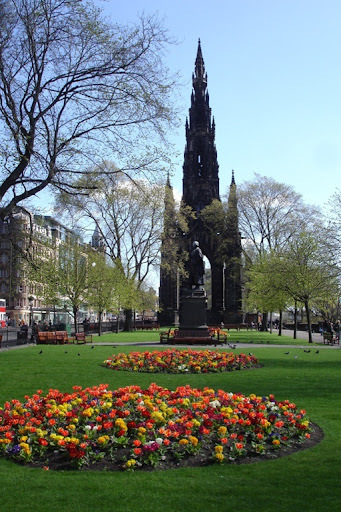 The monument pictured dominates the skyline on princes’ street Edinburgh with his statue taking seat under its shelter. You can climb to the top of the monument and view out over the whole of Edinburgh. There is also a statue of Walter Scott in New York’s Central Park. The inventor of the TV and colour TV he has given the world a form of communication that is pivotal to most households in the developed world. The statue is in his hometown of Helensborough where there is also a School named after him. 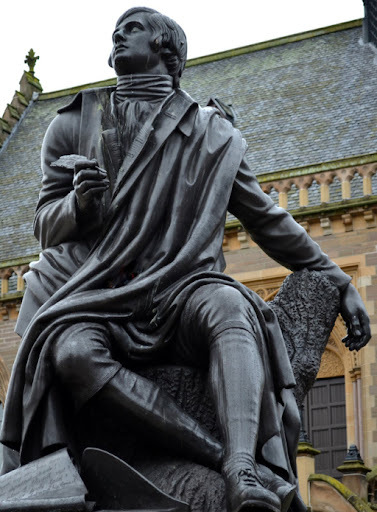 Burns is arguably the most famous poet in the world. With Burns night celebrated across the globe his legacy is still bright today. 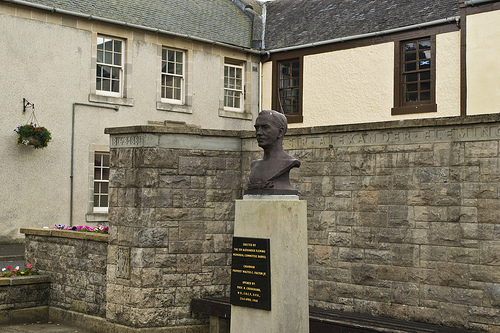 Statues of Burns are found all over Scotland and other parts of the world. The inventor of Penicillin, the drug that changed the modern world, used to eradicate and cure illnesses it is still vital to the health of millions globally. 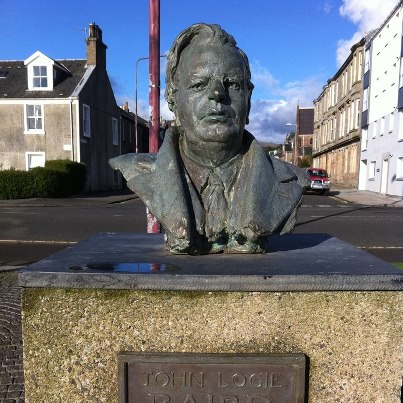 Countless lives have been saved as a direct result of this invention and this monument can be found in Argyle. A scots born and educated inventor of the telephone moved to North America to make his success in the telecommunications industry. 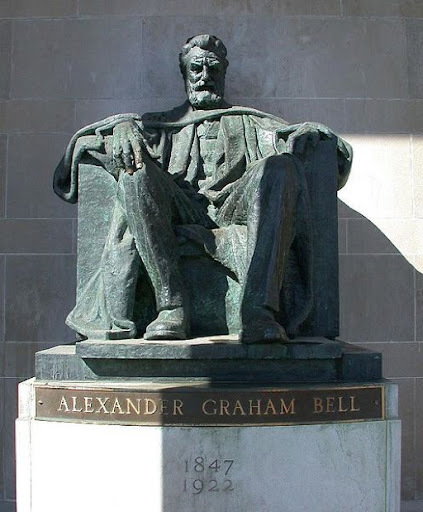 One of the first major capitalists of North America the statue can be found in Ontario.